Getting involved in lawn care and landscaping as a homeowner is a pride and pleasure. While many people enjoy mowing or watering their own lawns, planting flowers, or boosting their property’s curb appeal with new landscape installations, others engage in more complex activities, such as Fertilization & Weed control. Such a task should regularly be performed and according to a stringent set of rules. Using chemicals in summer, for instance, is not recommended, as the substances can burn the soil. Also, the cultivation of edibles on your property imposes fertilization restrictions, while having children and pets playing in the garden all summer long also leads to limitations. Today, our Fertilization & Weed control Lewis Center OH specialists are here to talk to you about risk-free services. You may be motivated by all the good intentions in the world and still make some severe mistakes. Many lawns suffer from the improper use of chemicals. You may buy them from the store and mix them according to the label, but you risk a lot of things. High concentrations of substances can severely impact the environment, while too low concentrations may have no effect at all. What many people fail to realize is that store-bought substances follow the “one size fits all” principle. But we all know no two lawns are the same. What may be good for your neighbor’s garden may be detrimental to your turf and ornamentals. Also, without skills and know-how, you risk damaging those plants that are more vulnerable to chemicals. Some weeds are also resilient to many treatments and will continue to pop up their ugly heads no matter how many substances you use. 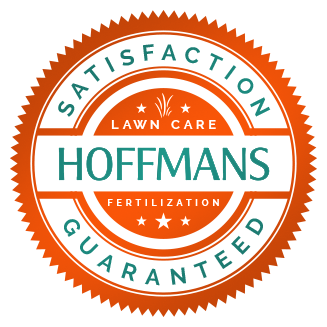 For all these reasons you need our professional and risk-free Fertilization & Weed control Lewis Center OH services. The implementation of a year-round, tailored, and personalized Fertilization & Weed control program that protects your vegetation and eco-system but deters weeds. Follow up and post-treatment evaluations to make sure some weeds don’t come back and some sensitive plants thrive undisturbed. If necessary, we adjust our interventions to ensure the health and thriving of your landscape. As you know, one of our landscaping services also includes the installation of mulch. This organic material also has a Fertilization & Weed control value. 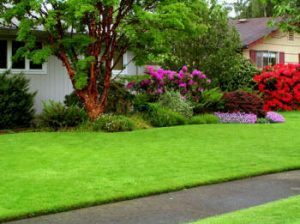 Call our Fertilization & Weed control Lewis Center OH team for a proper landscape assessment and let them turn your property into a healthy, thriving patch of Paradise!